847.444.5300 847.267.1429 fax Get Directions This location is wheelchair accessible. *Dr. Atta is caring and compassionate as well as down-to-earth and practical. She puts me at ease over my cardiac concerns. *Dr. Atta was very thorough, competent & caring. Dr. Atta was very patient with me and her kindness and concern were very much appreciated. 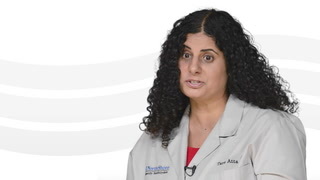 I like Dr. Atta's approach as she gave me good options to treat Holistically. The doctor was very honest with me and had read all my previous charts with other doctors. *Dr. Atta is friendly and personable. She made a great first impression. I loved her "down to earth" attitude and I appreciated her wisdom, experience & her sensibilities! She's so good even my wife liked her! Dr was very thorough as always. Positive attitude makes for a good experience. Dr. Atta is amazing. very motivational and positive. very personable as well. she listens to me and validates my concerns and never makes me feel ashamed. she believes in me. she considers my opinions and has an open discussion with me regarding medical decisions. I want everyone in my family to see her. Dr Atta is a very professional, thorough, approachable, knowledgeable and caring physician.